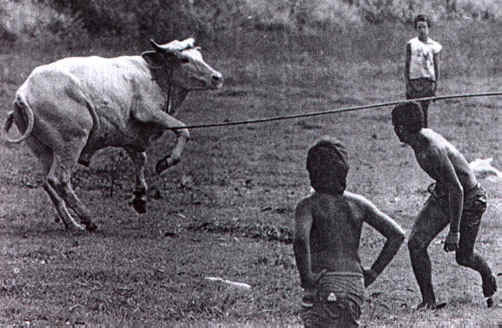 (Cattle Exploitation - Torture - 06) The look of fear can plainly be seen on this bull's face as these youth try to trip him with a rope, so that they can more easily beat the animal when he is down. When evil is left unchecked, and even encouraged, as is the case here, there seems to be no end to the extent of human cruelty. 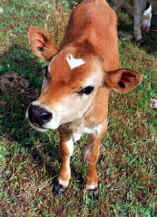 We believe that most, if not all, of this cruelty stems from the fact that humans kill and eat animals.